Adoptees and current or former foster children may experience a variety of mental health issues due to past trauma or abuse, identity crises due to feeling separated from their birth parents, and lack of stability in living situation. Therapy and support groups can help people process traumatic experiences in the past and view their identity and place in the world in a healthier way. In addition, a therapist may help families navigate the adoption process with their child. Telling a child they are adopted. Adoptive parents may be able to help by providing children with as much information as possible and by answering any questions a child might have about their adoption. Attachment issues may be helped or resolved with intensive attachment-specific therapy, in addition to child and family trauma work. Skilled and loving caregivers who can self-regulate and provide children with what they need developmentally may be successful at helping children who face these issues adjust. Therapy is generally recommended for families seeking to foster or adopt a child. In therapy, a family can prepare for any issues that might arise and learn how to cope with a child's particular or special needs, including any behavioral or health issues. With the child, they can discuss any concerns about behavior or developmental issues and work as a family to establish bonds and trust. Families who adopt or foster a child with significant behavioral or developmental concerns may find their situation challenging and consider giving up the child once again. Some of these issues may be resolvable with work in therapy, preventing further disruption to the child's life. When a child has experienced trauma, abuse, or attachment issues, they may have difficulty trusting a new family. 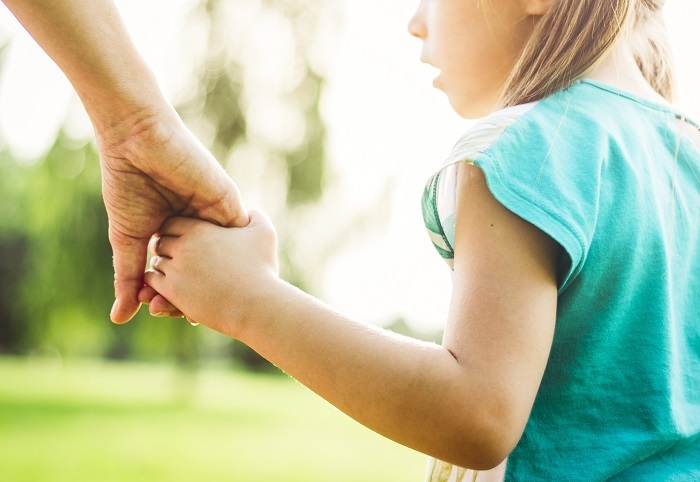 Family therapy may be recommended in such cases, as it can help both a child and their new family learn relate to each other and may better equip an adoptive family to care for the child in the ways they need. In family therapy, an adoptive family can learn to empathize with their adopted child’s situation and help them feel secure in their place in the family. Attachment-based family therapy may prove particularly helpful for children with attachment issues or complex trauma (C-PTSD). While counseling or therapy may be helpful for all children experiencing rehoming or placement into a group home, children who have experienced neglect, abuse, or significant emotional trauma may have a difficult time coping or adapting to a new home without the help of a therapist. A social worker may be able to offer help and resources to some children, but heavy caseloads often mean that social workers do not have enough time to spend with each child under their care, and children who have been failed by a system multiple times may be less likely to place their trust in the system once again. Trauma therapies, including trauma-focused cognitive behavioral therapy (TF-CBT), have been shown to help children and adults process trauma from foster care or adoption. It may address trauma in part by focusing on attachment issues the person may have developed. Trauma-focused therapy typically helps people process emotions after a traumatic experience and may help treat anxiety or depression brought on by the trauma. In some cases, play therapy has been proven helpful for adopted children and children in foster care. Play therapy has been shown to be particularly beneficial to children because self-expression through play may be easier for many children than verbalizing their thoughts and emotions. When trauma is involved, play therapy can act as a bridge to the child’s emotions and may help therapists and caregivers know how to support the child. Play therapy may also be used to address behavior or anger issues in young foster children when those issues stem from buried trauma. There are many support groups for adoptive and foster families. These groups allow parents to meet, offer support, and discuss challenges that arise while parenting a foster or adopted child. Groups may help parents problem-solve, receive validation, share resources, and encourage each other. Involvement in a support group for foster or adoptive families can be an important part of self-care. Participating in a support group may help many parents feel more emotionally recharged and equipped to handle the unique challenges their family faces and to support their foster or adopted child in they ways they need. While many support groups cater to parents and families of adopted or foster children, those who were adopted or fostered themselves also often benefit from joining a support group. Support groups may be made up of children, teens, or adults and focus primarily on adoptees or those who grew up in foster care. International adoptees may also wish to join a support group that allows them to relate to others who grew up in similar situations. These support groups can help people feel less alone and process past trauma or experiences. Neglected child receives therapy to succeed in foster care: Richard, 12, has had over 20 placements in the foster care system. He was born prematurely, due to his mother's chronic drug and alcohol use, and was significantly neglected by both parents and often left alone for long periods of time. Due to the lack of structure and poor boundaries within the household, Richard was often subjected to abuse from his siblings. Richard’s first-grade teacher noticed his dirty clothes and bruises and contacted Social Services. In foster care, he exhibited several challenging behaviors, such as hitting himself and others, banging his head when he was upset, and destroying property within the household. After multiple placements failed due to his behaviors, Richard began to be placed in group homes. He is eventually diagnosed with reactive attachment disorder and fetal alcohol spectrum disorder, and it is also believed that he experiences some learning delays. A trained foster family reaches out to Richard's institution, indicating a desire to provide him a safe home, and they begin family counseling together before he leaves the group home. With the help of his foster family, Richard does well with attachment therapy and trauma treatment, and he begins to be able to accept love and compassion from his caregivers. After a few months, he demonstrates the ability to work toward stable relationships and, as his sense of safety and security within his family increases, Richard’s behaviors gradually decrease. His foster parents meet with his school guidance counselor to develop an IEP for Richard, and school and parental support allows for improvement in his learning. He continues in therapy with his foster parents, who remain committed to helping him succeed both in the home and in school, and after several months, Richard is able to demonstrate his own love and trust toward his foster family.